(NEW CASTLE, DE) – Several historical documents, including a 1701 land deed from William Penn, have been donated to the State of Delaware by the family of former Governor and U.S. Senator Clayton Douglass Buck. 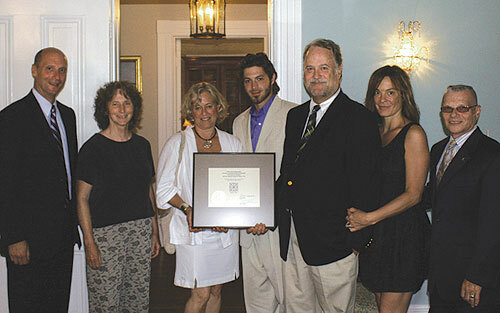 At an event yesterday at the family’s ancestral home, Buena Vista, Secretary of State Jeffrey Bullock officially recognized and thanked Buck’s grandchildren – Lisa Buck DeCandia, David Buck, and Karen Farquhar – for their significant cultural contribution. The donated documents had been on loan to the State of Delaware for nearly three decades, but in May 2011 were officially and permanently given to the State. The Delaware Public Archives, under the direction of State Archivist Stephen Marz, will soon begin conservation of the documents and intends to display them at Buena Vista, where Governor Buck was born and lived his entire life. Buck served as governor of Delaware from 1929 to 1937 and U.S. Senator from 1943 to 1949. Upon his death, and according to his will, Buena Vista was sold to the State for one dollar. Shortly after Buena Vista became a state-owned property, the State began using the house as a conference center. Over the past two years – under the supervision of Secretary Bullock and Director of Historical & Cultural Affairs Timothy Slavin – Buena Vista has experienced somewhat of a rebirth as a more modern conference and event facility, while maintaining its charm as a family residence. In addition to being the home of Governor Buck, Buena Vista was also the home of Delaware and U.S. statesman John M. Clayton, who built the mansion between 1845 and 1847. It was Clayton who gave the property its name, honoring President Zachary Taylor’s military victory at the Battle of Buena Vista when Taylor was a general in the Mexican-American War. 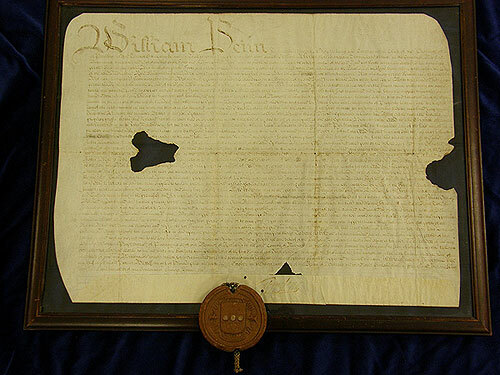 The original deed for the land which later became Buena Vista contains the signature of William Penn and his royal seal. This document was prominently displayed at the house when the Bucks lived there, and it will again be hung in a place of honor in the house after it has been carefully conserved. Other donated documents which will be displayed occasionally at Buena Vista include several 19th century land deeds; an 1830 agreement for a railroad right-of-way through Buena Vista; boundary surveys from 1846 and 1851; and the 1849 commission of John M. Clayton as U.S. Secretary of State, signed by President Zachary Taylor and Secretary of State James Buchanan (who later became president, himself). As soon as it was built, Buena Vista immediately took its place as a major residence of the Greek Revival style in Delaware, and John M. Clayton’s dedication to the best and most current agricultural practices made the farm prosperous and productive. Decades later, Governor Buck’s wife, Alice Hounsfield du Pont, worked with prominent architect Brognard Okie on the design and addition of the large library wing which was completed in 1932. 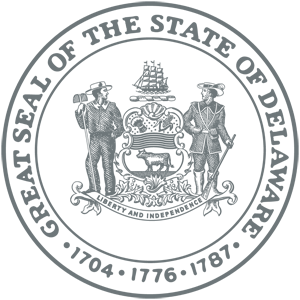 For more information on Buena Vista, an historical landmark and modern conference and event center, please visit: buenavista.delaware.gov.